My poor mom. When I was a kid, she only had one choice of where to send me for summer camp: THE town camp. It was a traditional, 6-hour day camp with a heavy emphasis on sports, which was great for a vast swath of children. But not so great for me. I was more of a bookworm than an athlete. I remember coming home every day and whining to my mom, “It was so hot and all we did was play (fill in a sport). Do I have to go to camp tomorrow?” By the end of the summer, I’m sure my mom wished there was even one other summer camp option for me. A traditional day camp is usually 6 hours long (half day options may be available) and offers a stimulating mix of activities such as sports, swimming, art and music. 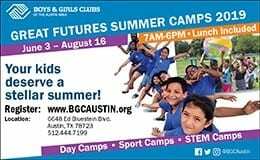 These camps are located at recreation centers, public schools or private settings. Is this a good fit for your child? Most of the activities at a traditional day camp happen outside, so if your child loves the outdoors, playing sports and participating in team building activities, then this would be a good type of camp for him. The assortment of programming offered also means this would be a good fit for a child that likes to try lots of different things. Specialty athletic camps usually focus on one sport that the child pursues for 3 to 6 hours each day. 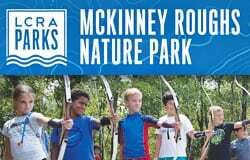 Central Texas is home to sports camps that offer practice in martial arts, tennis, golf, water sports, gymnastics, ice skating, rock climbing, horseback riding, sailing and more. This type of camp is typically owned by a private organization. Some areas offer city-operated sports camps through the parks and recreation department. Is this a good fit for your child? If your child loves a specific sport and would like to improve her skills, this would be a great option. It could even be a way for your child to undertake a sport — such as wakeboarding — that she might not otherwise have a chance to try. Specialty arts camps concentrate solely on an artistic discipline, such as music, visual arts, dramatic arts, magic, dance or creative writing. Dramatic arts, music and dance camps often culminate in a showcase production. 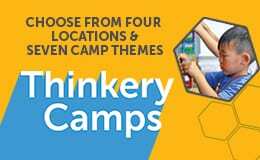 These camps are often located in public schools or private organizations. Is this a good fit for your child? If your child is imaginative, expressive and prefers the indoors, an artistic camp can be just the place for him to settle into a creative endeavor. In addition, because most arts camps last just one week, they are a good way to introduce a variety of arts to your child. An educational camp focuses on learning a new skill or subject matter. Since it is camp and not school, these types of camps tend to be hands-on with an emphasis on fun. Your child might learn about wildlife, brush up on her Spanish, hone her coding skills or conduct science experiments. Is this a good fit for your child? If your child is curious and always asking questions about how/why things work, this may be a good match for her. These camps are also great for children who are interested in learning a new skill. Overnight camp is when your child lives at the camp for a week or longer. 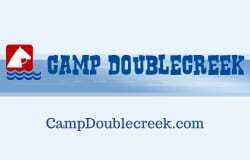 There are Boy Scout, Girl Scout and private residential camps. These camps tend to offer outdoor options such as sailing, boating, archery, horseback riding and other activities that may not be available close to your home. Some camps offer a boys-only or girls-only environment. Is this a good fit for your child? Older children who have successfully spent the night away from home can get a lot out of overnight camp. An overnight camp gives your child the chance to meet other kids from different states and countries, unplug from screens and develop independence. Overnight camps can provide more time to do activities too. There are two types of travel camps. One type takes children on day trips, and the other type (sometimes referred to as “teen tours”) takes groups of older children away from home for an extended period (usually a few weeks or a month). This type of camp is often offered by religious or private organizations. Is this a good fit for your child? Some of these camps travel to places by a plane, so it would give your child the chance to travel to a place you might not have visited as a family. If your child enjoys experiencing new destinations, this would be a great fit for him. HOW CAN YOU FIND THESE CAMPS? 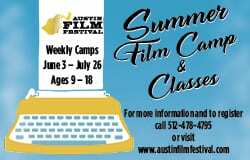 A good place to start is Austin Family Magazine’s Camp Guide, either in print or online. 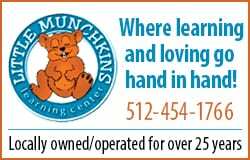 Camps are sorted into day camps, overnight camps and special needs camps. 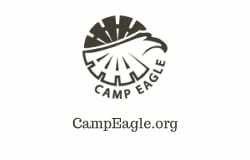 Each month brings new camp providers to the listings. You can also ask friends and neighbors for recommendations. Check with your local recreation center or school to see what they’ll be offering this summer. Private camps sometimes offer an open house or visitors’ day to allow your child to see the camp before signing up. Cheryl Maguire holds a Master’s Degree in Counseling Psychology. She is the mother of three.